Brook trout are among the state’s most treasured natural gifts, and Maine is lucky to have more places to catch wild brookies than any other state in the lower 48. And according to a state fisheries biologist, anglers on the state’s largest lake have been hauling in some huge brookies of late. Before we go any further, let’s be clear: Catching and keeping a wild brook trout isn’t without its consequences. Many anglers would tell you that wild fish are too precious to catch even once, and adhere to a strict catch-and-release ethic. With that said, it’s hard not to be impressed with the size of the fish that Moosehead Lake has been producing lately. 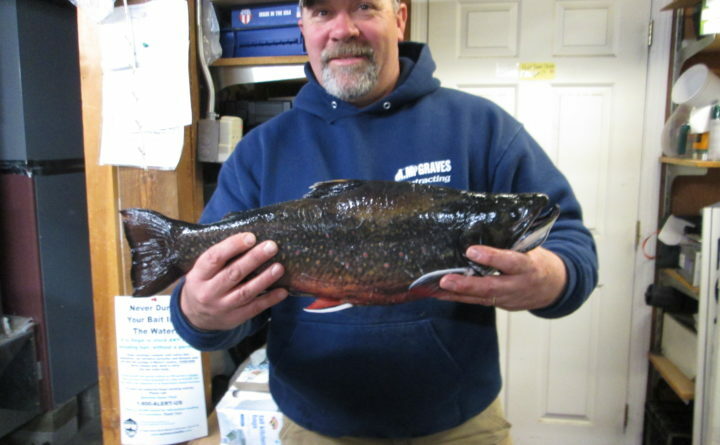 Tim Obrey, the regional fisheries biologist for Region E in Greenville, said he and his colleagues have seen a marked increase in the size of brookies caught over the past few years. Obrey said biologists thought they’d seen the brook trout fishing peak, and expected a decline in the number of big fish caught this winter. That simply hasn’t been the case. Included in those was a 7-pounder that biologists caught in a research trap net last fall. So what’s causing the surge in big brookies? A pair of factors may be at work, Obrey said. First, over the past decade or more, thousands of small lake trout have been removed from the lake as part of an initiative to reduce that population and allow for better growth. And second, in 2006 the DIF&W increased to minimum length limit of brook trout that could be kept from 12 inches to 14 inches. Anglers don’t keep many brook trout in a given year — about 1,500, according to Obrey — and allowing some fish a longer time to grow before anglers could catch them increased the population significantly. Obrey said data indicate that the 2-inch bump in the minimum length protected about 40 percent of the fish that were being kept annually. And with the absence of so many lake trout that were removed from the lake, large brook trout were able to find smelts to feed on. 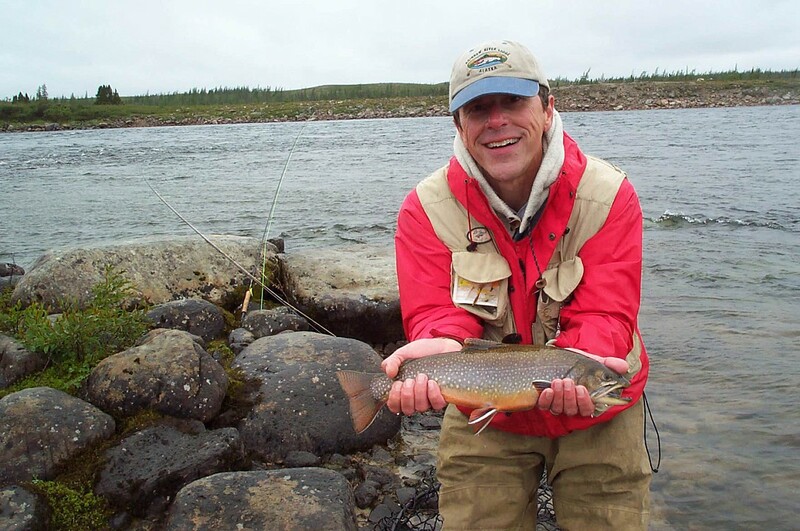 For those thinking of heading to Moosehead for the first time, be aware that certain parts of the lake are closed during the winter to protect brook trout that are lingering near their spawning brook or river. And if you end up catching a wall-hanger, you might want to consider another option: Take a few good photos and a couple of quick measurements before you return the fish to the water, and many talented carvers can create a mount that you’ll be proud to show off for years. Have you caught a big fish this winter? We’d love to hear from you! Send a few photos and a description to jholyoke@bangordailynews.com and we might share your story with our readers in a future story.